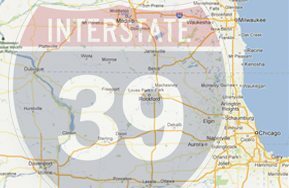 The I-39 Logistics Corridor is all about helping you connect to the proximity vital for logistics, manufacturing, company headquarters, raw resources and materials, and industry and business clusters. 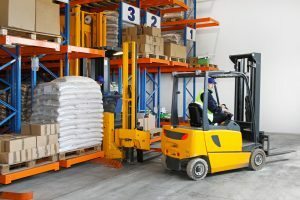 We identify site criteria important for the Chicago area, which handles more freight than any other city in the country. INTERSTATE HIGHWAY – Of the seven major interstate highways accessible within the corridor, six intersect truck-friendly I-39 including I-80, I-88, I-55, I-90, I-74 and I-43 – all with less congestion. RAIL – All major transcontinental rail systems converge in the Chicago area and seven of them provide access within the corridor. AIR – In addition to our close proximity to O’Hare and Midway International Airports, there are eight airports within the corridor including the state’s second largest airport and the country’s fastest-growing airport. We also have a UPS Air Hub and other air-freight carriers. BARGE – Barge terminals along the Illinois River connect directly to the Great Lakes, St. Lawrence Seaway, Atlantic Ocean, Mississippi River and the Gulf of Mexico. 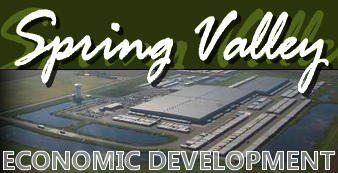 Communities within the corridor welcome business, are efficient, dependable and easy to work with, and offer fast-track building permit processing, TIF districts, training programs, Foreign Trade Zones, Enterprise Zones, low tax rates, advanced telecommunications infrastructure, and significant capacities of water, electricity and natural gas. WILLING WORKFORCE – The dependable workers within the corridor — part-time, seasonal and full-time skilled and professional — are ready, willing and available at competitive wages. Our greatest asset is our value-added workforce and our legendary Midwest work ethic. AVAILABLE & AFFORDABLE PROPERTY – The corridor has an abundance of raw land available for the development of high-end business parks. We also offer many high-quality existing office and industrial facilities for purchase or lease. HIGHER EDUCATION OPPORTUNITIES – The universities, private colleges, community colleges and technical schools within the corridor offer degree programs, custom-designed technical training and specialized business services. Northern Illinois University (DeKalb), and Illinois State University (Bloomington/Normal) are the area’s prime recruitment resources. LOGISTICS SUPPORT SERVICES – All major LTL carriers have terminals in the corridor. We also have some great truck stops. 10-4, Good Buddy.